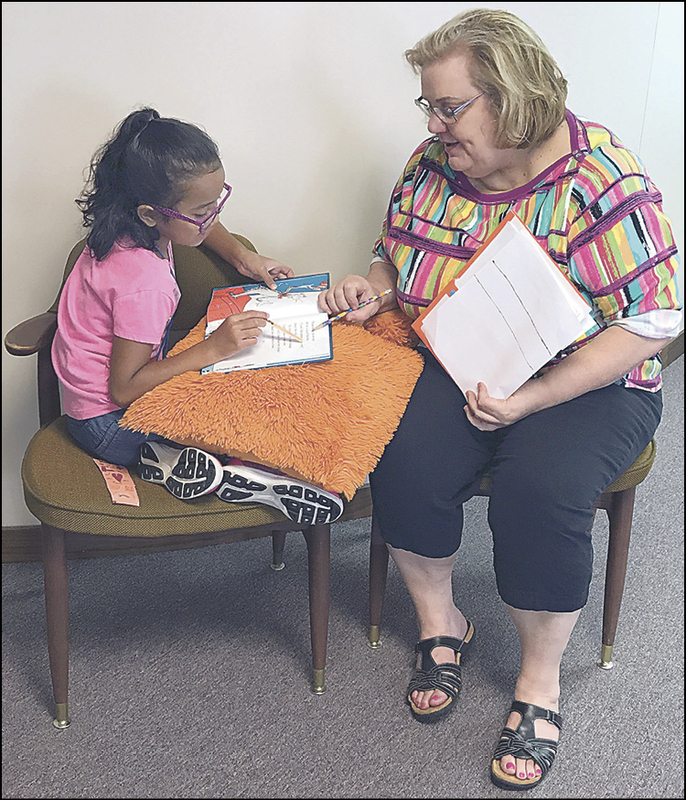 If you teach a child to read, you open the world," said Randy Mitchell, senior pastor of Enid-First United Methodist Church, where Project Transformation is helping Enid youngsters to improve their reading skills this summer. For 16 summers, Project Transformation has been assisting first- through fifth-grade readers in several Oklahoma cities. But this is the first time the United Methodist-related literacy day camp has been in Enid. The June-July program in Oklahoma has always operated as a ministry of the Conference. "The Church cares for the children in the community whether they are Methodists or not. This helps them to succeed in life," said Kara Klamm, site supervisor. She teaches second grade at Hayes Elementary in Enid. Her experience with Project Transformation includes leadership in the program for two years at Mangum. The primary purpose is to assist kids with reading problems, she said. Each child is tested to determine a reading level at the beginning of the summer, and PT’s goal is to maintain or exceed that level when the project concludes at the end of July. Eligible students are those who receive free or reduced-price meals during the school year, or who attend a school in which 50 percent of students meet that criterion. Klanm also said some schools were targeted because of reading-level testing reports. In addition, the church utilizes a relationship with the foster parent group in Enid and recruits through social media. Lower-income students are at the greatest risk, said Klamm. "We read every day; we’re hoping to improve." 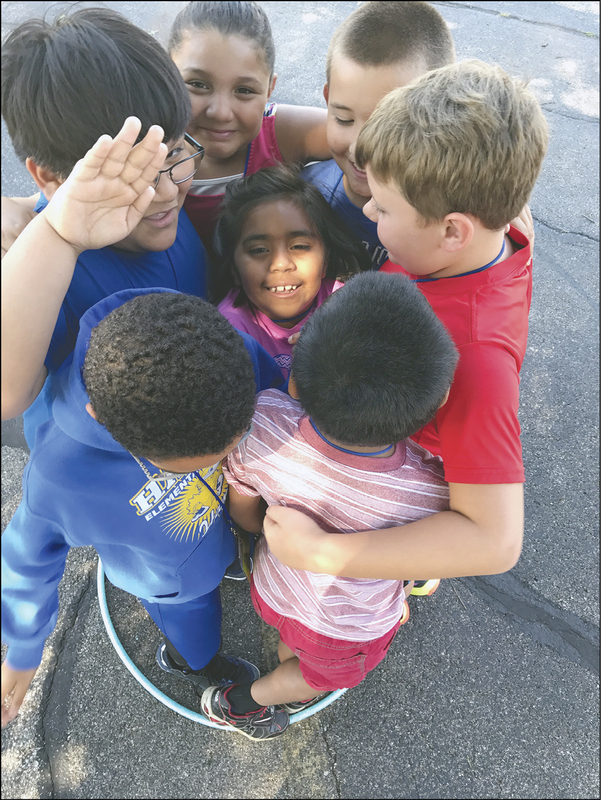 Approximately 44 kids attend the classes daily, and they are led by seven trained young adults who serve through AmeriCorps, a major sponsor of the program. One of those AmeriCorps members is Jerrod Baker, who attended Wagoner UMC when Rev. Mitchell pastored there. The church feeds the kids breakfast and lunch every day. "The heart of the program is one-on-one reading with adult volunteers," Mitchell said. In the mornings, each student spends 30 minutes reading with a volunteer. In the afternoons they undergo a 30-minute program of reading comprehension, so they will understand what they are reading, Klamm said. "It’s especially good for kids who hope to maintain their reading scores, or exceed them," she said. The project also includes instruction in math, science, art, and some recreation in the afternoon. Recently, the kids were treated to a demonstration of the church’s grand pipe organ, taught by Thom Whitaker. They also have taken trips to Leonardo’s Children’s Museum. The classes contributed to an increase in the number of kids taking part in the church’s Vacation Bible School, Mitchell said. "We’ve met some really sweet parents and kids," he said. Project Transformation 2017 comes to a close this final week of July at nine locations through the state. About 55 young adults have given leadership to the program at those sites. How many friends fit inside a hula-hoop? The answer is seven Project Transformation kids at Enid-First UMC. An adult volunteer and child share storytime during Project Transformation at Enid-First.